This is not a purely “`British watch brand” question, but it is one I have thought about and discussed a fare deal of late. 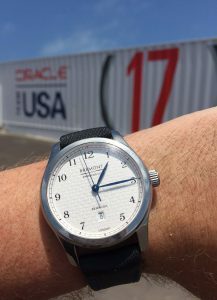 Is there a move back towards smaller watch sizes ? Personally I have never been a fan of 45mm plus cases and feel some where between 36 ( for example older model Rolex Explorer) and 40mm is the perfect size. 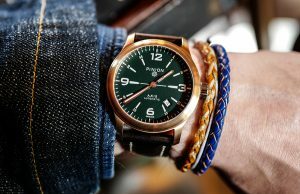 The newly relaunched British brand came to market with a great 38 mm range. 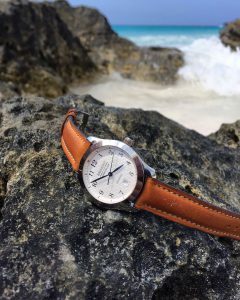 Here is a piece from Monochrome Watches discussing the relative merits of a smaller Omega Planet Ocean. The Axis II Bronze has only been available for a few months, but very quickly Pinion are down to the last two available – after these are sold, there will be no more Axis II Bronze. The final two watches can be bought in either ‘E’ (Exhibition case back) or ’S’ (Steel case back) formats. 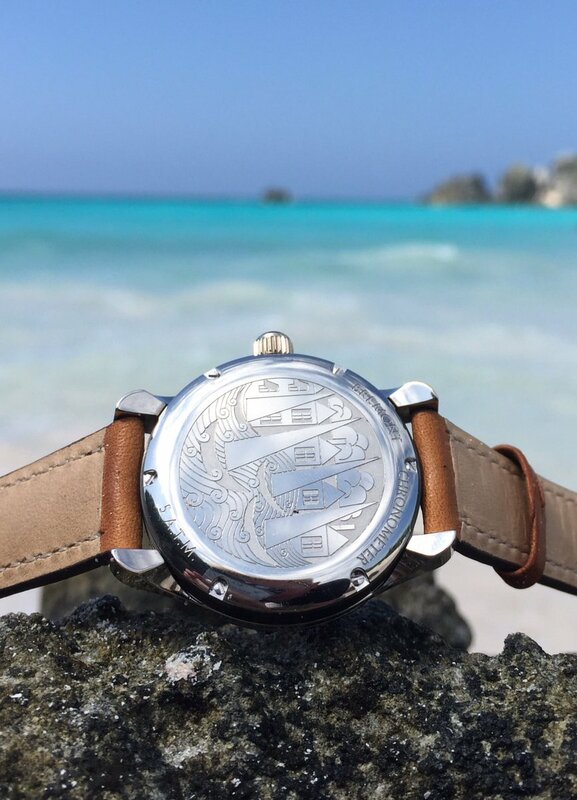 If you want one of these last two models, then simply select the model you wish to buy and pay a deposit to reserve the item; Pinion will then hold these watches for you until you wish to complete the purchase. The watches will be available for delivery from the end of August onwards. Roger Smith tweeted this short video clip of his mentor George Daniels’ Space Traveller watch displayed in the Manx Museum. I thought I would find out some more about this impressive pocket watch and this is it’s story. Dr. Daniels was on a trip to Zurich where he met an important collector for dinner. The collector nudged him and said ‘what do you have in your pocket’, so he took out his watch, a gold Daniels pocket watch with independent double-wheel escapement. The collector said he had to have the watch and asked him to sell it to him. Dr. Daniels said it was not for sale but the collector persisted. 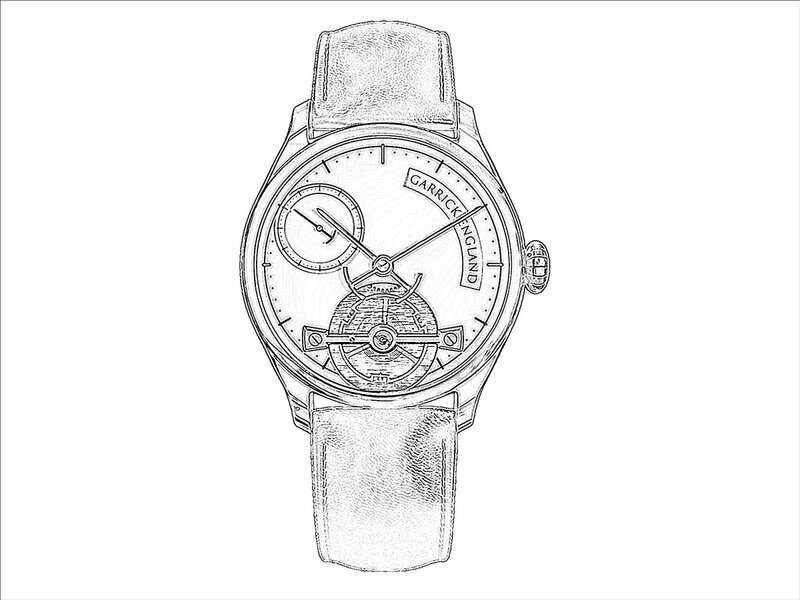 Dr. Daniels thought this was an enormous compliment as he did not even ask the price, and so sold him the watch. Dr. Daniels immediately regretted selling this watch and therefore decided to make another which would be an improvement on the first both in terms of complication and accuracy. Having not fully exploited the first watch, the second watch would have separate calculations for each train, it was therefore possible to indicate both mean-solar and sidereal time.In the 18th century to check the accuracy of your watch you had to have a precision clock which was set by a star. This watch by means of having solar and sidereal time could make the calculation for you, the difference being 3.555 minutes per day. To try and improve the calculation of the train which allowed for an error of 0.8 seconds per year Dr. Daniels contacted a friend at Cambridge University to ask if they knew of a mathematician interested in watches. He got a response almost immediately and extraordinarily enough the mathematicians name was Professor Daniels. The professor was able to calculate a better ratio of 0.28 seconds per day, which Dr. Daniels was very happy with. Dr. Daniels used to say to people, ‘when you are on your package tour to Mars you need a watch like this, and when using the telephone for long distance calls you could switch the chronograph into sidereal time to cut your bills by 3.555 minutes per day’.Originally the watch had been referred to as the Daniels squared (2) because of the assistance he received from Professor Henry Daniels but Dr. Daniels did not think this was good enough so named it the ‘Space Travellers’ watch in honour of the American landing on the moon which was the greatest space exploratory journey of the century. 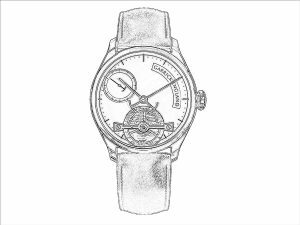 News is seeping out on social media of the re-launch of the British watch brand Fears at this autumn’s Salon QP. 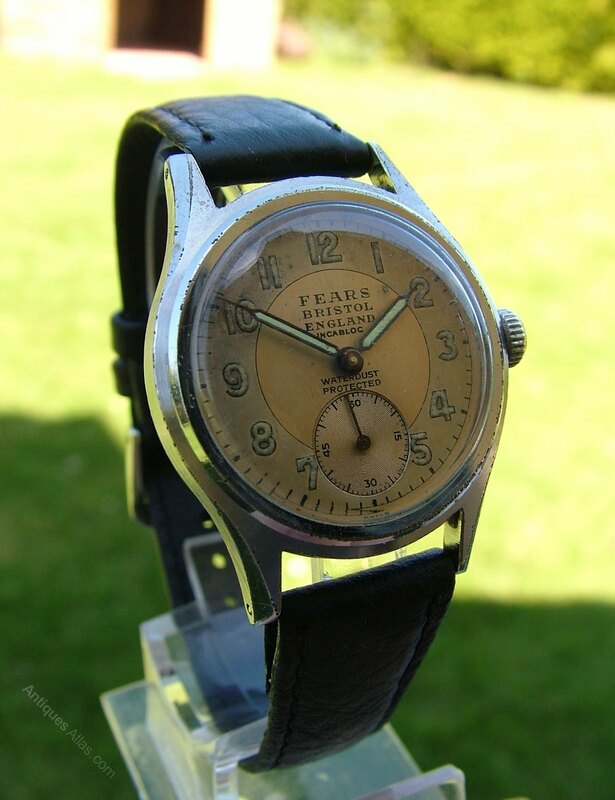 Below is the only image of a past Fears watch I can find. 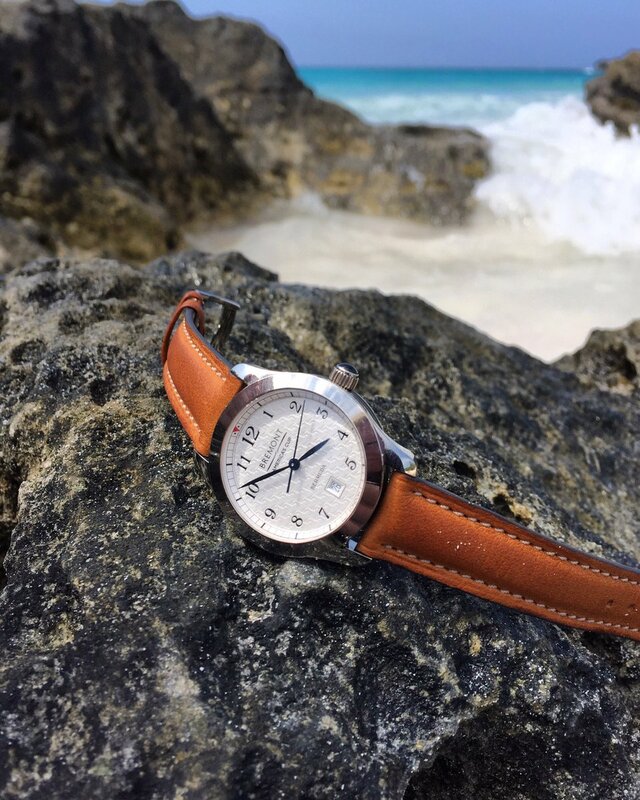 A pretty nice looking watch. They might do worse than produce a slightly larger re-interpretation of this. The only other news I have managed to uncover is the company’s entry on the business social network Linkedin. They say…. Definitely something to look forward to at Salon QP. I am wondering how much space there is in this “British/Swiss” niche.